Sketch is an innovative and fresh look at vector drawing. Its intentionally minimalist design is based upon a drawing space of unlimited size and layers, free of palettes, panels, menus, windows, and controls. Though simple to use, it offers powerful vector drawing and text tools like perfect Boolean operations, symbols, and powerful rulers, guides, and grids. Sketch 45.1 – Design app for UX/UI for iOS and Web. 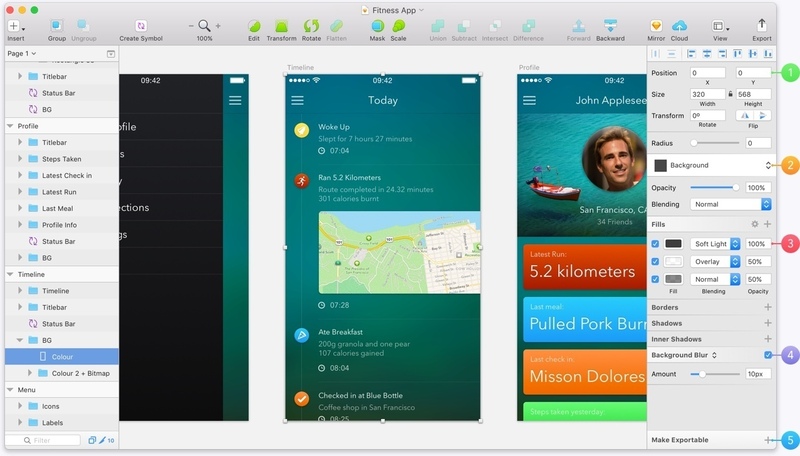 Mockups 3.1.1 – Collaborative wireframing for app development. OmniGraffle 6.5.2 – Create diagrams, flow charts, and more.